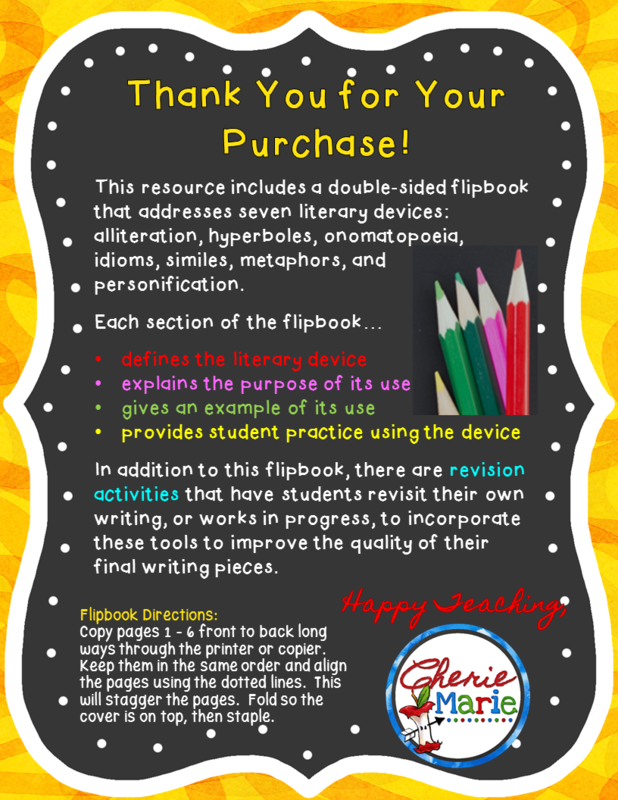 Put some pizzazz in your writing instruction with this all-in-one resource! This easily constructed, double-sided flipbook includes multiple lessons that address seven literary devices: alliteration, hyperboles, onomatopoeia, idioms, similes, metaphors, and personification. 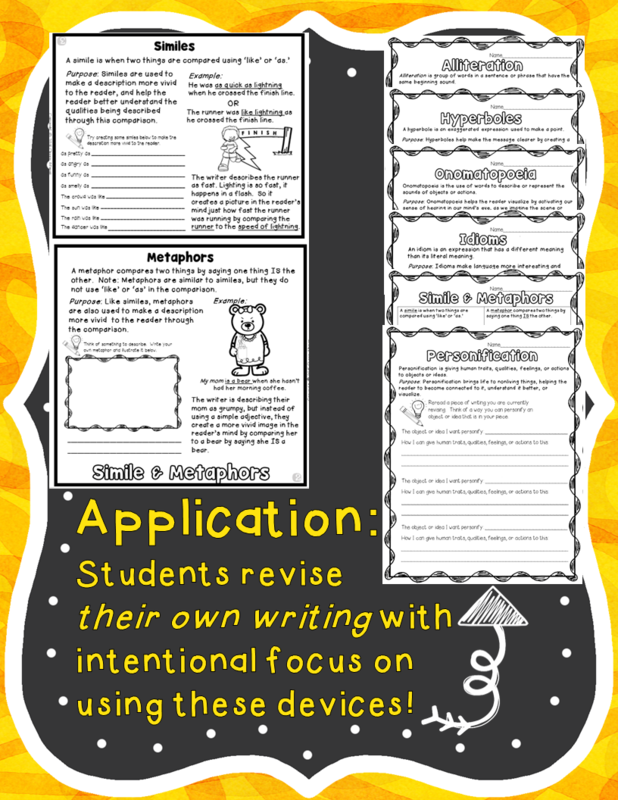 Each section is a lesson in itself and offers opportunities for scaffolding: I do, we do, and you do. 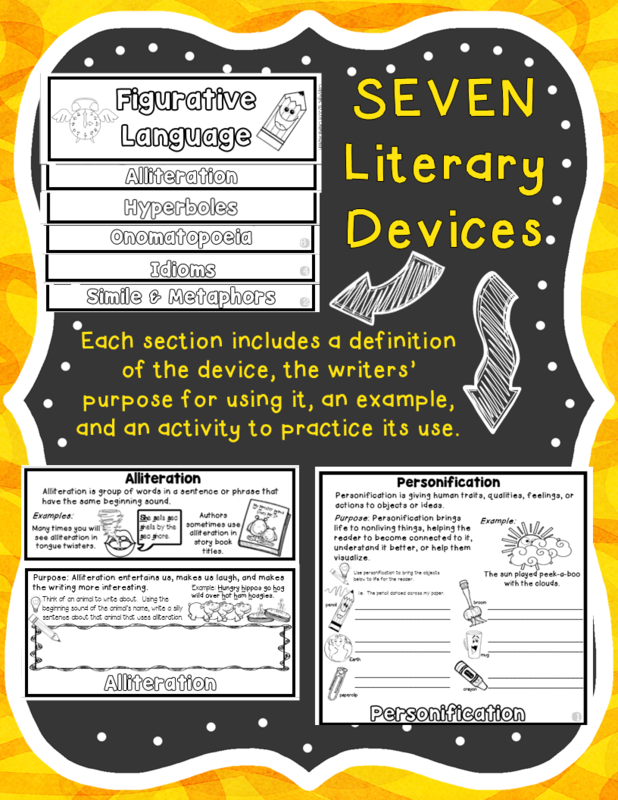 Once completed, this anchor resource will become your students’ go-to reference as they apply these devices to their own writing throughout the year! 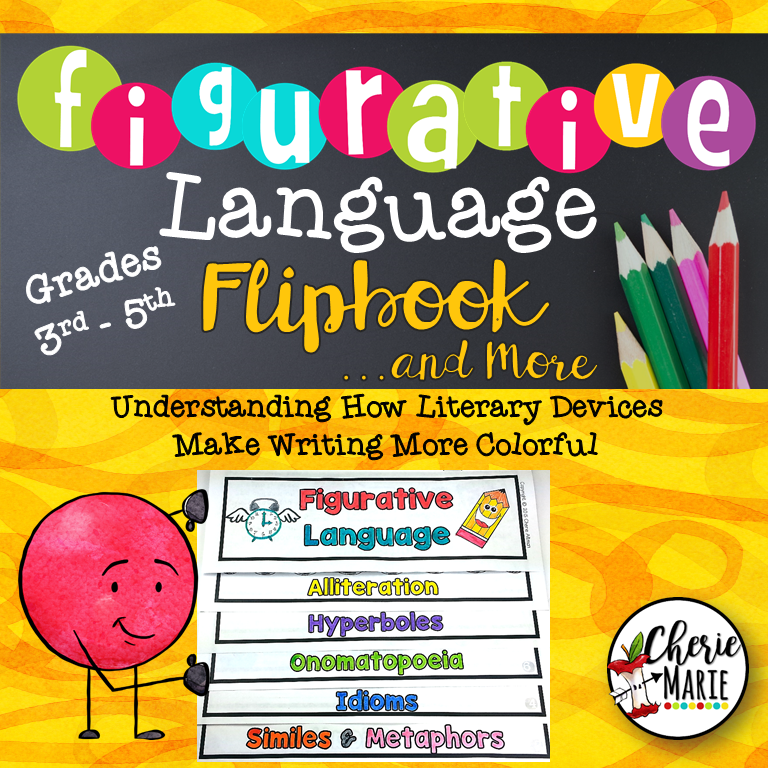 Note: These lessons will also assist your students in understanding figurative language in literary texts!